Valentine’s Day has a lot going on – gifts, dinner, drinks, romance, etc. 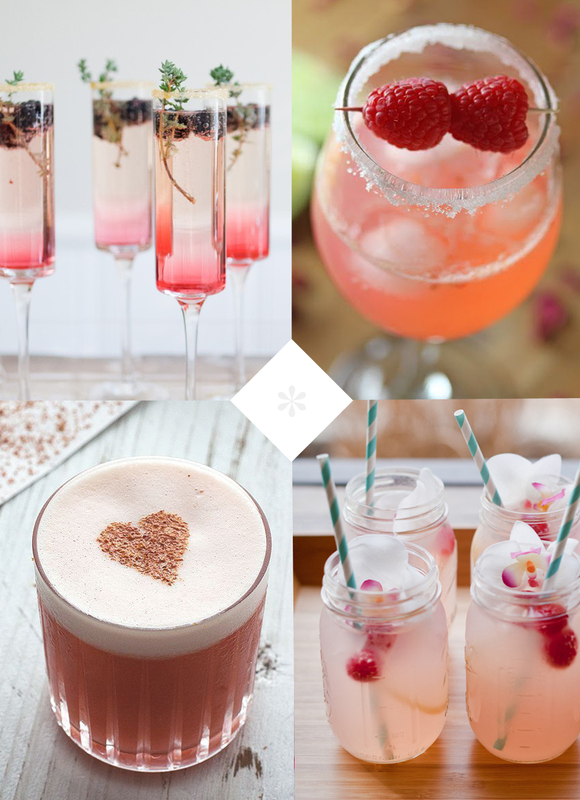 If you’re going out to a lovely dinner, why not start your evening with a cocktail for 2? Or if you’re hanging in with your boo, let them handle the dinner while you take care of the drinks & dessert. Sounds pretty great to us! This entry was posted in Food, Holiday, Personal and tagged Blackberry Thyme Sparkler, Bubbly, Champagne, cocktails, Dinner & Drinks, Drink Up, gin, Nutmeg Love Potion, Pink Drinks, Pucker Up Punch, Raspberry & Rosewater Gin Ricky, Romance, Valentine's Day, Valentine's Day Cocktails, Vday Drinks, Vodka by Gardenias & Mint. Bookmark the permalink.